A little girl wearing a lace dress sits on a cement post and poses at the Homer & Company studio in Boston, Massachusetts. She is wearing a necklace and a bewildered expression. 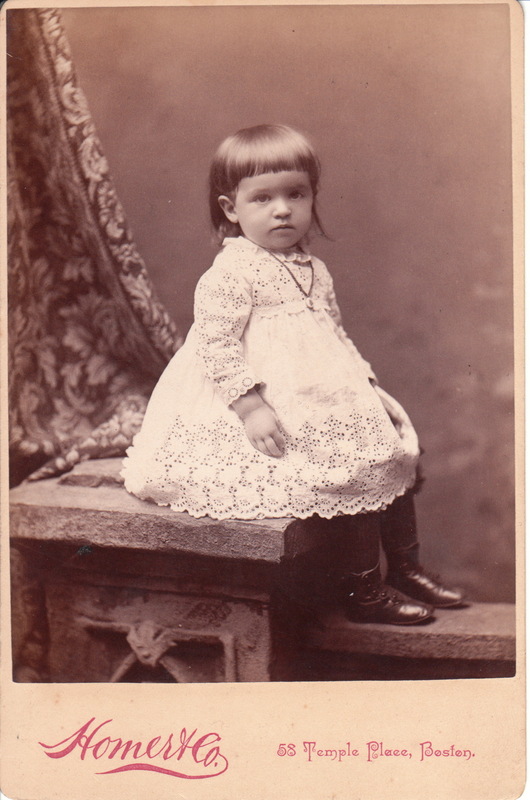 Research yielded very little information about the photographer who produced this cabinet card. 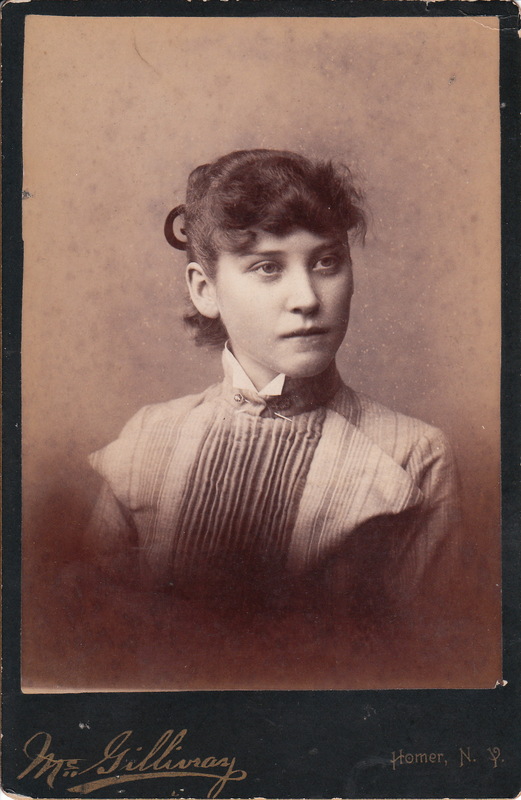 It is known that the photographer was named George H. Homer and that he actively operated his studio between 1883 and 1885. He also may have worked as a photographer in other years.